Fire Team Fit are a reasonably new company with a few innovative products on offer. 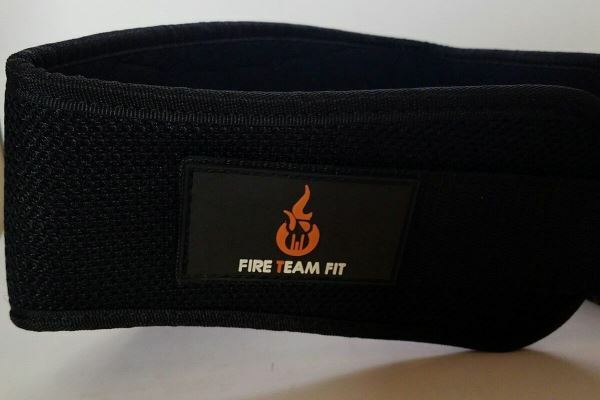 Here we are looking at the Fire Team Fit weightlifting belt. The belt is suitable for both men and women and comes in a variety of colors. These are black, blue, white, pink and camouflage. The belt is designed to be lightweight so is a pleasant change from the typical heavy leather weightlifting or powerlifting belts. You can see from the design that features an individual foam pad structure making it able to fit the body contours while being comfortable at the same time. The mechanism for securing the belt is Velcro, and it is made from a breathable and sweat resistant material. 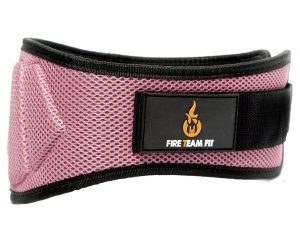 The Fire Team Fit belt immediately appears different to a traditional powerlifting belt. And due to its comfortable and lightweight design, it is clear that it is intended for other purposes than professional powerlifting and extremely heavy weights. Upon first appearance, it is clear that it is manufactured from high-quality materials. When undoing the belt, the first thing that we found was that the Velcro is extremely loud when being unfastened. 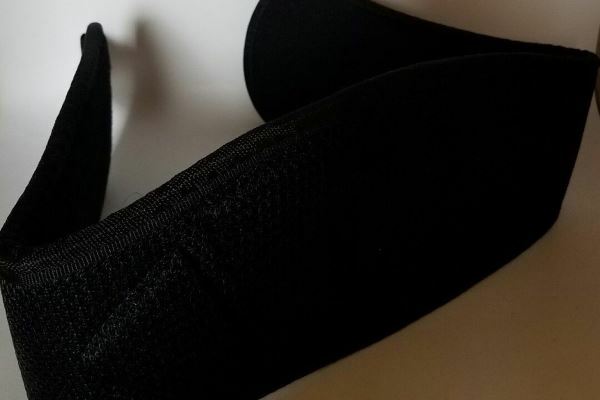 Maybe this is due to the strength of the Velcro, as it is very strong and stays secure even during heavy squats.When placing the belt on the body, we found that it has a very nice low profile and would be excellent for those with a smaller torso. 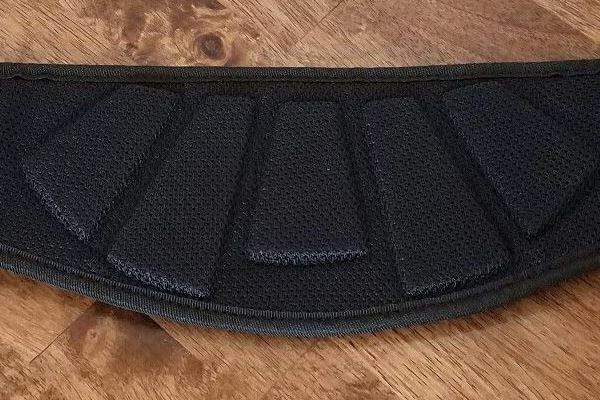 The padding is divided into several sections which makes for an interesting design. This seperation allows the belt to be flexible while also comfortable and supportive. Further to this, there was no pinching or pulling of the skin at all with this belt as you may find with thicker leather gym belts. You can appreciate the comfort just when you need it i.e. at the bottom of a heavy squat. And the visibility allows you to easily get a full range of motion without limiting you. The tapered design also helps with this flexibility. You can easily bend over to perform deadlifts without the belt restricting you in any way. One thing to note with the Fire Team Fit belt is that when new it can give off a reasonably strong plasticky smell. But don’t let that put you off as it will dissipate after a while, and you will be left with the great belt. Also, the sizing can be a little confusing, so make sure you measure yourself correctly and pay attention to the sizing guide. Being lightweight, this is a great belt for those active sessions such as cross fit where you might need to be moving around a lot while wearing the belt. Also, the camouflage color is great!